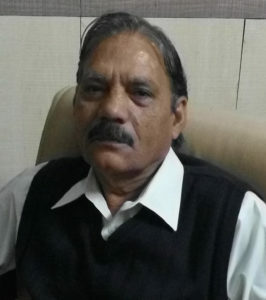 Mr. Virendra Mohan Pandit, M.Sc (Criminology and Forensic Sciences), Bachelor of Law, trained as Police Officer in National Police Academy, India and served Central Bureau of Investigation for 26 years and for last 22 years practicing Private Investigation. He has investigated economic offences, corruption cases, frauds and homicide (including assassination of Indian Prime Minister, Mrs. Indira Gandhi). He has taken voluntary retirement and became Private Investigator based at New Delhi. Expertise includes Competitive Business Intelligence; Corporate Investigation; Due Diligence; Skip Tracing; Forensic Investigations; Litigation Support; Financial Fraud Investigation etc. Forty seven years of cumulative experience resulted in Life Time Achievement Award in the field of Investigation and Intelligence (2010). Mr. V.M. Pandit is the Founder Director of VMP Academy of Intelligence and Management for training private investigators in India. He is also known as the CEO of Multidimensional Management Consultants, President of Association of Private Detectives and Investigators of India, Director– World Association of Detectives and Director Intelligence- International School of Project Management, New Delhi. 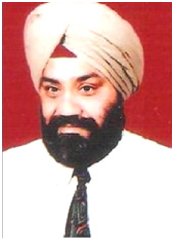 Recipient of Special Felicitation Award from APDI (2007) and APDI awards for being speaker on “Competitive Business Intelligence” and on “Private Detective Agencies (Regulation) Bill” etc (2007 Annual Conference). Visiting Faculty member of many Institutes. Some of them include Amity Business School, Noida for MBA students pursuing “Competitive Business & Corporate Warfare” (2008-2009), South East Asia Training Organization (SEATRO) Pvt. Ltd, Singapore. Also in MOU with SEATRO for co-certification of AIIM courses in India, Visiting faculty of National Institute of Criminology & Forensic Sciences, MHA, Delhi (2006-2008), Visiting faculty of CBI Academy, Ghaziabad (1993-2006) etc. and also Contributed articles in Times of India (Espionage); Business & Economy (Security of CEO’s); Outlook (Political Investigations). Mr. Jayant Kumar Sinha is an Ex IB Officer and worked as Deputy Central intelligence Officer on various fields of operations in North East and plain areas. He joined IB in 1996 and prior to that he was with Bihar Police. He joined Bihar Police in 1971 as SI and worked on different districts of Bihar. He was with Bihar Police for 20 years and during his tenure he worked as SI, SHO, Crime Branch, Special Branch and Railways. He got several commendations by Bihar Police and IB for his good work in the field of investigations. He was always inclined towards work for nation and never compromised with nation’s security. Arvind Jain, there are few more Arvind Jain associated with the Profession of a journalism but he stand apart with a very low professional profile having claim over human traits. Though human traits is no way the part of journalism but he had opinion that a journalist may have an extra opportunity to sharpen his eyes to see through. He being a low profile journalist wish my fellow professionals to weigh the value addition to their respective assignment and investigative retina. He hope He would be able to quench the twist of investigative query. Mr. R.S. Jagdev, Chief Co-ordinator of Probe Intelligence Services, a profession corporate investigations firm. He is specialized in investigative services like Pre-Matrimonial, Pre-Employment verification, Investigation of Theft, Dishonesty, Substance Abuse in the workplace and Litigation Support. Mr. Jagdev has been President of Delhi chapter of Association of Private Detectives and Investigators (APDI) is a formal Personal Manager. R.S. Jagdev of Probe Intelligence Services conferred the IISSM excellence award 2016- Private Investigator of the year 2016 by Honorable Minister Kalraj Mishra. He is the Indian Union Cabinet Minister of Micro, Small and Medium Enterprises. 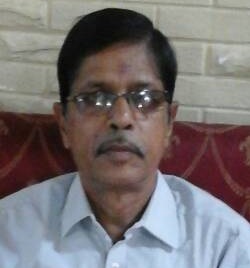 Mr. Jagdev has been Executive Director of Association of Private Detectives of India is a former Personnel Manager. He has worked with the Best in the Industry Clients like BATA, TITAN, ITC, Cadbury, HONDA, Nestle, Asian Paints, Johnson & Johnson, SAMSUNG, Aditya Birla and many more. Mr. J.P Nautiyal, Secretary General, PRAI (Paralympic Rifle Association of India), an affiliate of Paralympic Committee of India; PRESIDENT, South West District Rifle Association, which is affiliated to Delhi State Rifle Association, an affiliate of NRAI and Chairman, Shooting in Paralympic Committee of India (PCI). Have a total of over 23 years of extensive experience in providing technical advises for Arms, Ammunition, Shooting equipment’s, Security Services, Management, HRM and General Administration. He has won Three Gold medals with two national records in 36th NSCC. Also won a Bronze Medal in Free Pistol Shooting at 47th National Shooting Championship in 2003 and a Gold Medal in free pistol at 48th National Shooting Championship in 2004. Participated in 14 National Shooting Championships since 1988, won various medals in North Zone Shooting Championships and Delhi State Shooting Championship. 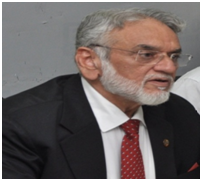 He is a Qualified ISSF B-License Jury and Judge. He has also trained ITBP shooting team from 1990 to 2001 and shooters like Jaspal Rana ( Padamshree and Arjuna Awardee), Shilpi Singh ( Arjuna Awardee), Naresh kumar Sharma( Arjuna Awardee) and other various International Shooters. He is a proud holder of Coaching Certificate from National Rifle Association of India. 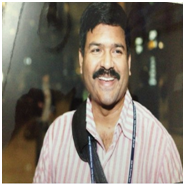 Mr. J.P Nautiyal has worked as Gazetted Officer in Indo Tibetan Border Police for 13 Years. He has also worked as Director, Sports and Admin with Jindal Steel and Power Ltd. for 07 years. He has constructed various Shooting Ranges in Haryana, Chattisgarh, Delhi, Punjab, Chandigarh and Uttarakhand and also conducted 17 coaching camp and selection trials in the state of Chhattisgarh and Haryana. He has also worked as Chief Coach (Shooting) for Indian Paralympic shooting team from 2008 to 2011 and lead the team in Para Asian Games, World Championship, World Cups, IWAS etc.